My friend RC pinged me a couple of days ago and invited me to dinner at my favorite private dining facility. He was entertaining a friend from the West Coast who is an investor in several high-end restaurants in the Bay Area, and thought I might enjoy meeting the friend. I wasn't planning on having a big meal out so early this week, given my packed eating schedule the latter half of the week, but I didn't think it wise to turn down this invitation. It's been a whole 3 months since my last visit, so I was pretty excited about coming back for some awesome old school Cantonese. Barbecued Iberico pork (黑毛豬叉燒) - I really, really like this tonight. For some reason I think the char siu tonight was fattier than I have ever had it here. That Kagoshima Kurobuta (鹿児島黒豚) was really, really tasty... and I loved the charring. Stir-fried minced quail in lettuce cups (生菜包鵪鶉崧) - this was the only dish tonight that I haven't had before, and it was sooooo good that my neighbor had 5 portions! Inside the lettuce cup was a mix of very finely diced quail meat, along with very finely diced duck liver sausage (膶￼腸). The two main components blended together perfectly as a result of the stir-frying. Besides the few strands of deep-fried rice vermicelli, the topping that really made the dish sing was the sprinkle of toasted Indian almonds (欖仁). The fragrance coming from the heated oil inside the powered almonds was simply incredible. Crystal king prawn (玻璃大蝦球) - these are as delicious as they've always been. I still consider this the best I've ever had in Hong Kong. The prawns from local waters were simply treated with some salt and corn starch - no baker soda is used - and "skinned" before being treated and stir-fried. The texture was wonderful, and the flavors just jumped out at you. Deep-fried crab claws (椒鹽肉蟹鉗) - this is a dish that I normally love, and the claws still tasted very, very delicious tonight. But I noticed that the claw I got had a much softer, slightly limp texture compared to the ones I had on my previous visits. Double-boiled winter melon soup with shrimps, Yunnan ham, fresh crab meat and lotus seeds (原個燉冬瓜盅) - you know it's summer when this shows up on the menu. Don't be fooled by this hot soup cooked inside a whole winter melon... it actually helps to cool the body's constitution. As usual, you've got crab meat, loofah, button mushrooms, diced duck meat, tonkin jasmine (夜香花), and some really small and tender lotus seeds. Steamed sole (清蒸海方利) - tonight we've got two of these soles, each weighting one catty-plus. This means that the cooking time was reduced, which would explain why the meat from the back was more tender than usual. Very nice. Traditional salt-baked chicken (古法鹽焗雞) - another old school dish executed perfectly. The chicken had plenty of flavor, and I didn't find pieces that were tough or over-salted. The gizzard and liver were especially tasty. Four treasure vegetables with superior broth (上湯四寶蔬) - believe it or not, this is usually one of the best dishes on the menu, as the simple vegetables are given an attention to detail not usually seen elsewhere. Unfortunately the radish was a little on the bitter side tonight. Sautéed rice rolls with minced beef, bean sprouts in satay sauce (沙爹牛肉炒腸粉) - it's been a long time since I last had this, and I really, really, really miss it. The wok hei (鑊氣) here was amazing, and the flavors seemed a little more spicy than I had remembered. Simply awesome. Double-boiled ginkgo nuts and lotus seeds (銀杏燉湘蓮) - a wonderful end to dinner... with jujube, longan, lotus seeds, ginkgo nuts, and apricot kernels. 2000 Henriot Brut - nice and ripe on the palate, with a little sugarcane on the nose. 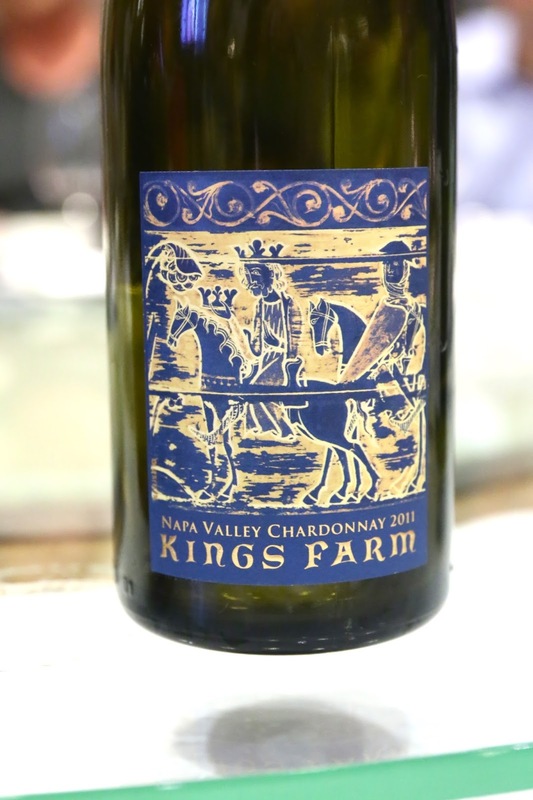 2011 Kings Farm Chardonnay - very buttery and creamy on the nose, oaky, very ripe and sweet on the palate. 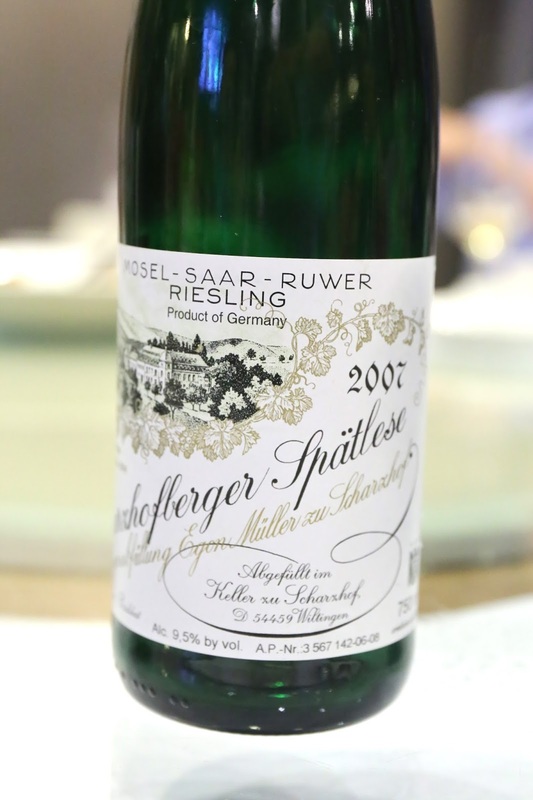 2007 Egon Müller Scharzhofberger Riesling Spätlese - huge nose of petrol and flint, polyurethane. Such an amazing nose. Nice bit of acidity with a good amount of sweetness on the palate for balance. A beautiful wine. 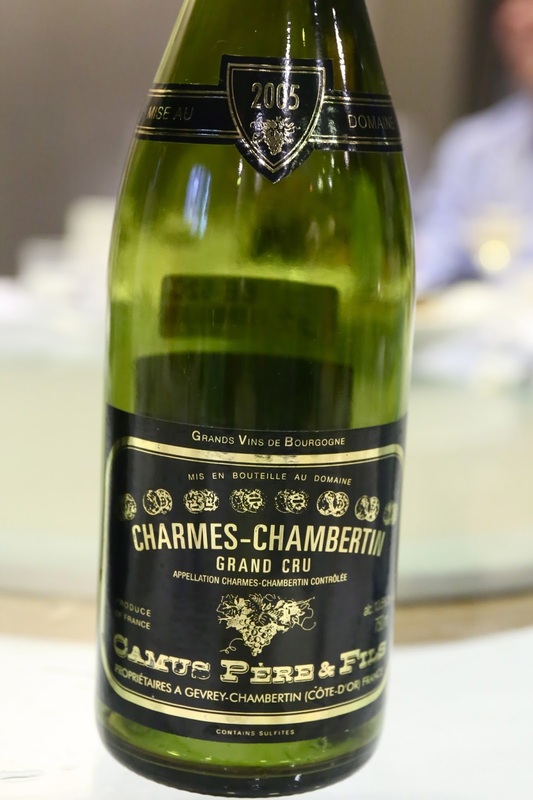 2005 Camus Charmes-Chambertin - nice nose of cherries, a little gamey fowl, and a little metallic iron. 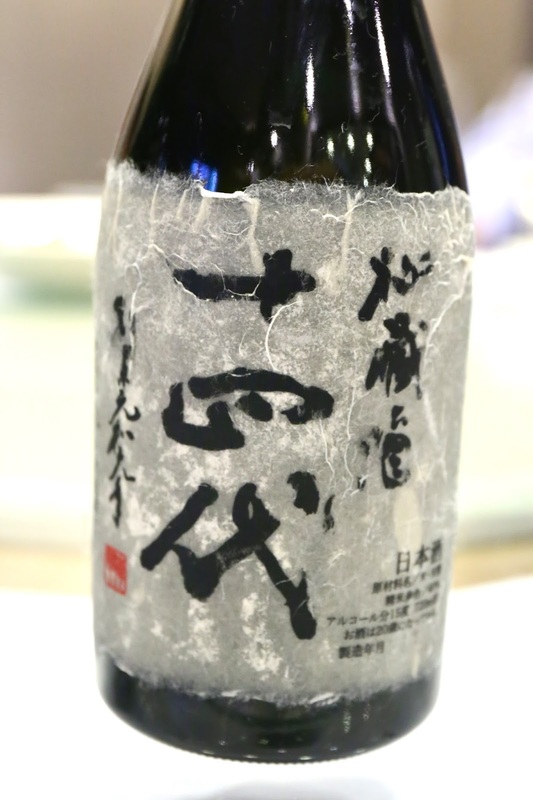 Juyondai Hizoushu (十四代 秘蔵酒), bottled May 2010 - this is a junmai daiginjo (純米大吟醸) koshu (古酒) with at least 3 years' aging, using Aiyama (愛山) rice milled down to a semaibuai (精米歩合) of 40%. This bottle had been aging in my cellars for the last 6 years, and the extended aging - possibly 10 years or more when you count cellaring before the release - gives the sake a wonderful depth of flavors on the palate. It is also noticeably viscous and rounded on the palate. Nose shows a concentration of rice flavors, very rich, with lots of tropical and banana notes. 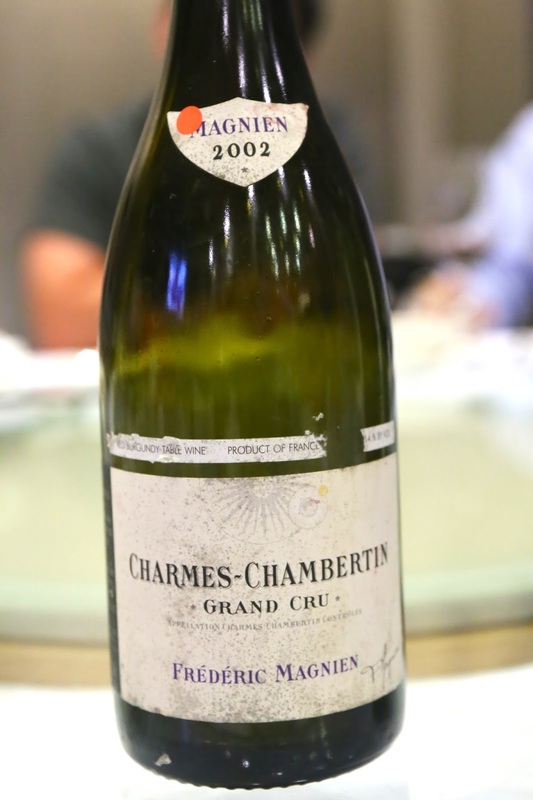 2002 Frédéric Magnien Charmes-Chambertin - beautiful sweet fruit, more floral than the Camus, with oaky notes and toasty corn. 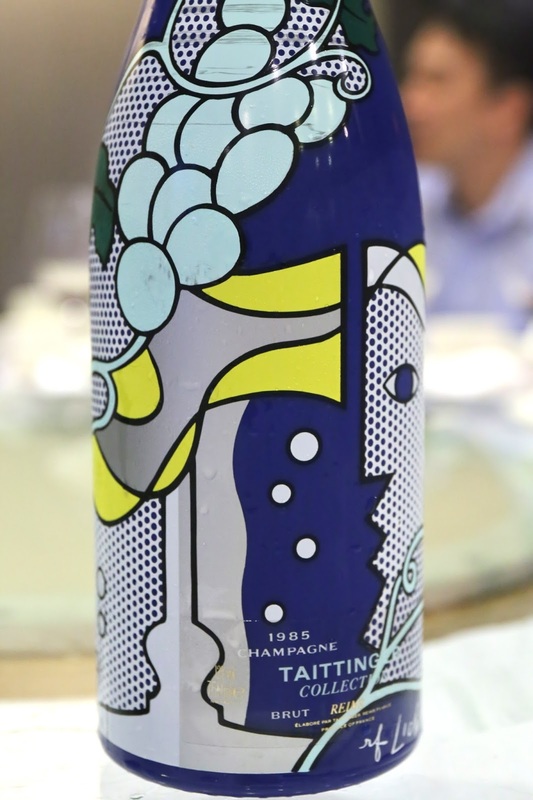 1985 Tattinger Artist Collection - nose was very caramelized, with heavy amount of toast, as well as something a little savory... almost like salty plum (話梅) that's soaked in Shaoxing wine (紹興酒). Beautiful. 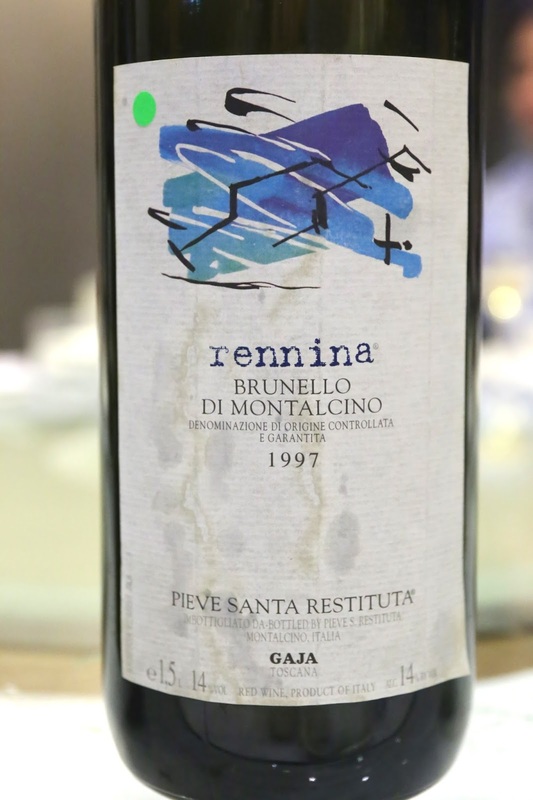 1997 Pieve Santa Restituta Brunello di Montalcino Rennina, from magnum - sweet vanilla, lots of herbs, and really fragrant. 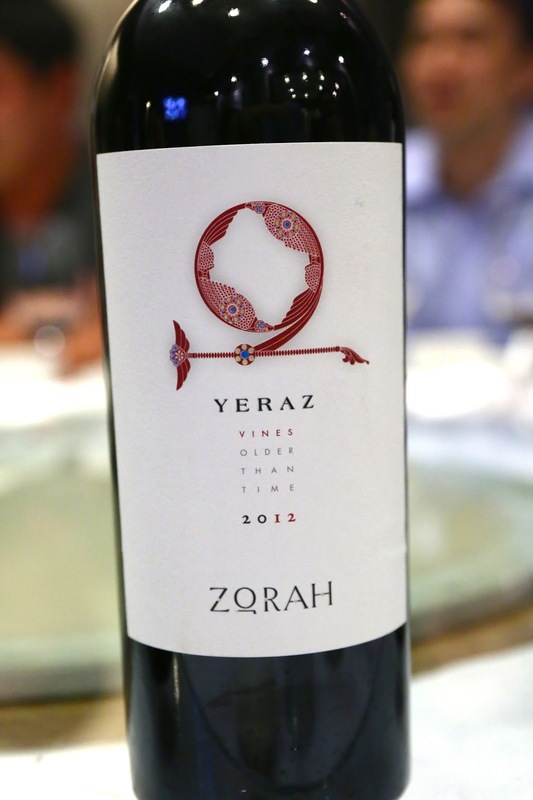 2012 Zorah Yeraz - really sweet and ripe, with lots of herbs and exotic spices, a little black pepper. Very smooth and silky on the palate. Made from vines that are more than 100 years old.